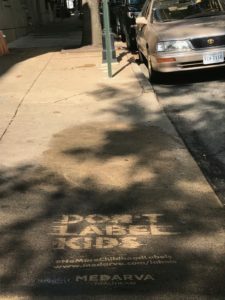 Richmond-based health care provider, MEDARVA Healthcare, is taking to the streets to promote its latest initiative – a program it calls “Don’t Let Anyone Label Your Child.” Through the use of a creative new tactic known as clean graffiti, the company has taken a pressure washer and stencil to various Richmond hotspots to tell a story about the impacts harmful labels can have on the city’s children and youth. Instead of using spray paint and other environmentally-harmful chemicals, clean graffiti uses a stencil and pressure washer to wash away the dirt and grime on a sidewalk, road or wall to leave behind a clean, crisp and eco-friendly message on the pavement below. On a side note, children sometimes don’t get the proper medical tests needed to identify potential problems because of the fear that they will be labeled if problems are identified. It’s time labels are removed for the benefit of our children and their future success. root cause of kids’ behavioral challenges. 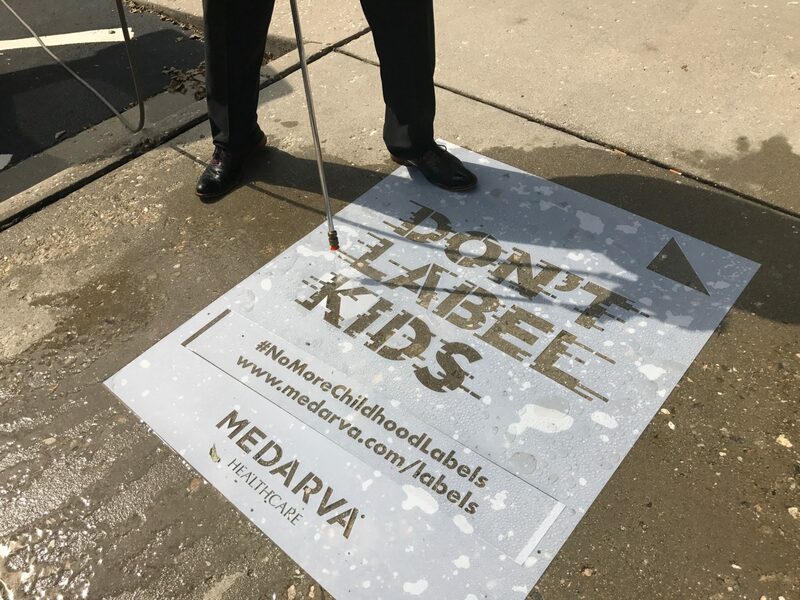 The Don’t Let Anyone Label Your Child program – which MEDARVA launched earlier this year – is aimed at finding the true issues behind a child’s distraction, hyperactivity or other learning issues. Through its Vision & Hearing Screening Program – which has screened 12,696 Richmond-area children since its unveiling in 2015 – MEDARVA has found that the underlying problems often lead back to a simple vision or hearing issue. Kupper added that these sorts of results are what MEDARVA’s initiative is all about and that the clean graffiti campaign will help further the goal of spreading awareness so that even more students experience the same sort of life-changing results.